"Cruise into the South's Prettiest Town!" 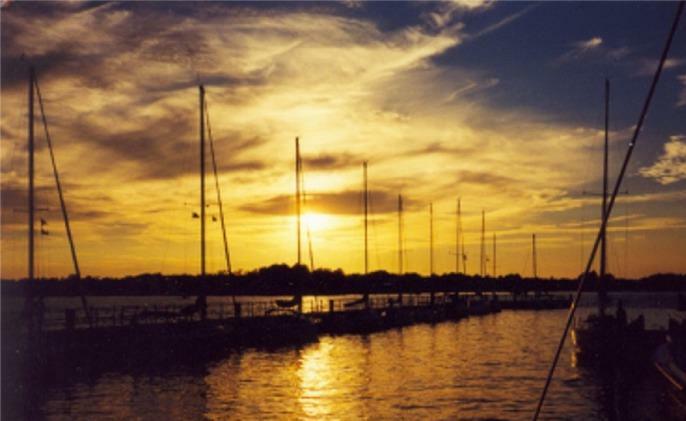 Sail your boat into the Edenton Harbor and enjoy a complimentary 2-night stay free (limited to one time per month, $1.00 per ft. per day subsequently). Other amenities include: Power 30 amp & 50 amp available, Sewage Pump Out $5.00 per use, Restroom & Shower Facility. Enjoy the town's Antique & Boutique shopping, Fine accomodations & Restaurants and Art Gallery Exhibits and Gift shop. Please call to make reservations. Additional Information: Cruising towards Edenton you will pass under the Ablemarle Bridge which has a clearance of 65 feet. Overhead power lines have a 90-foot vertical clearance in the marked channel and a 70-foot clearance in other areas. After passing the power lines look for entrance marker "2", marked with adequate depths. The Edenton town docks have a new breakwater that helps protect the boats in dock. 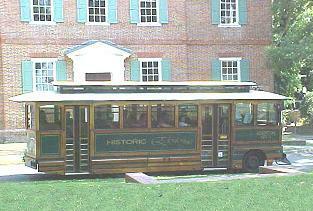 If you are traveling into town for the first time or have not yet had the opportunity to learn about Edenton's many historic features then the Trolley Tour would be a great way for you to do so. The trolley will take you on a 45 minute guided tour through the Historic District where you can view the beautiful architecture that dates back to the 1700's. Tours begin and end at the Historic Edenotn Visitor Center, 108 North Broad St. Ticket Prices: $10 for adults, $8 for adult groups, $2 for students K-12. Groups of 15 or more should schedule in advance by calling the Town Office at 252-482-7352.